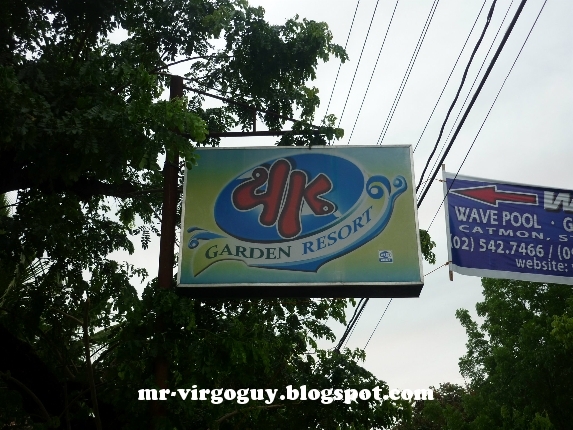 Me and some of my high school friends went to 4K Garden Resort at Catmon, Sta. Maria, Bulacan to commemorate our 10 years of friendship last May 19. We went there at night to escape the scorching heat of Mr. Sun. 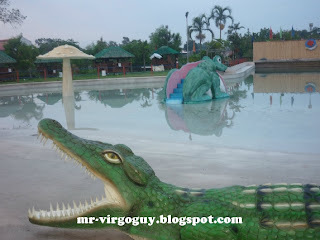 The entrance fee is Php200 for adult and children (children whose height is 3 feet or below are free). We rented four tables located at their pavilion. Their pavilion can accommodate three groups consisting of 15 people. 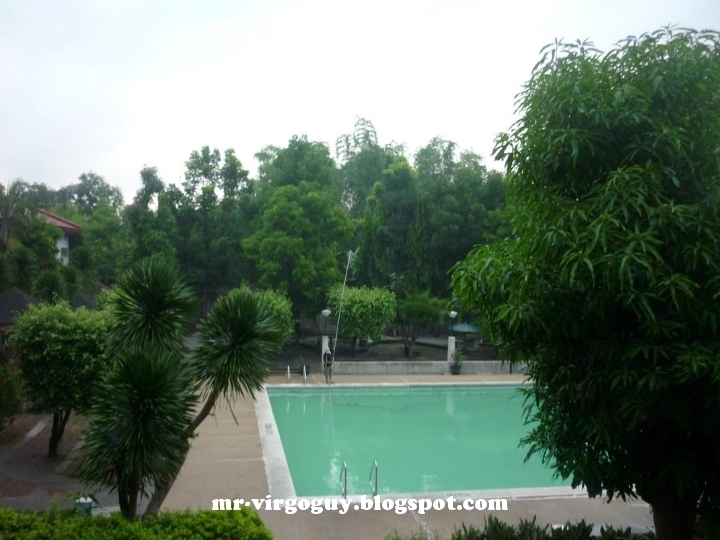 There are at least 6 public swimming pools and a private pool. 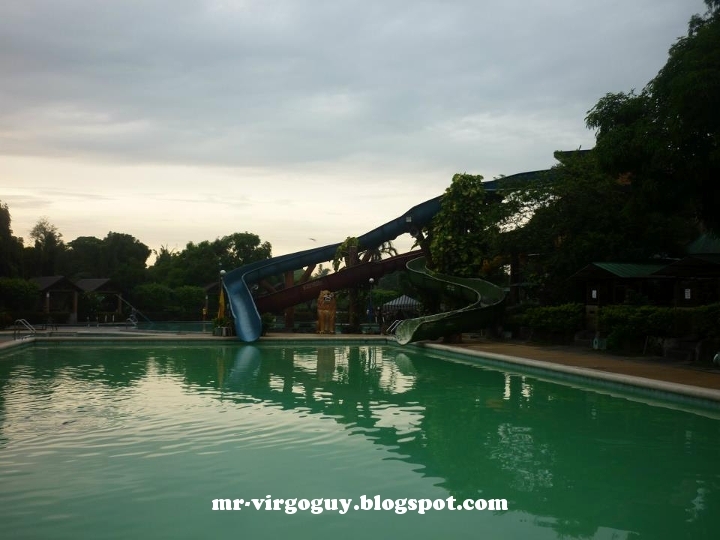 There are also slides in the resort but unfortunately it can't be use during night swimming. There were so many people during night swimming and I imagined the number will double during daytime. Even though there are many people when we arrived, the number of people decreases as time hits midnight. 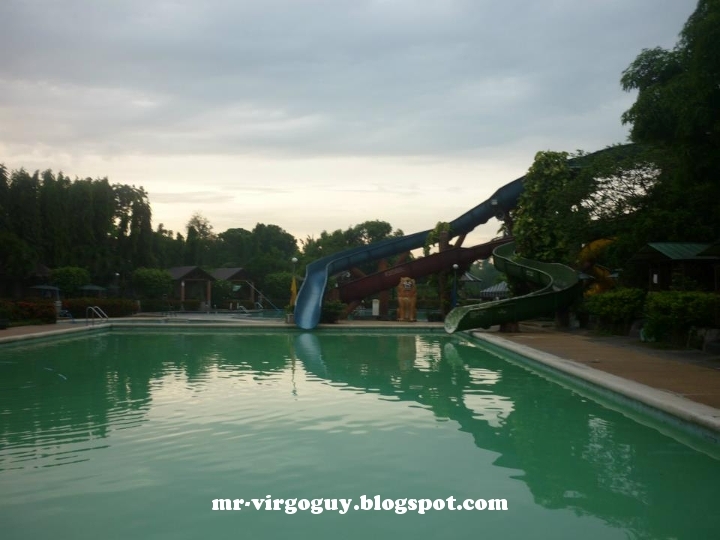 For the first hour of our stay in the resort, it ran hard that people in some of the pools were running to go to their respective cottages. I don't know what they thought at that time but the way they ran told me that they were afraid to get wet from the rain . The allowed time for night swimming is until 4AM but you can stay at the cottage until 6AM. We enjoyed the stay in 4K Garden Resort and hopefully when I go back at the resort, it would be daytime wherein I can ride their slide and enjoy their wave pool . Below were the pictures I took on Sunday morning. Hehehe. Silly. Why did they go swimming if they're afraid to get wet? 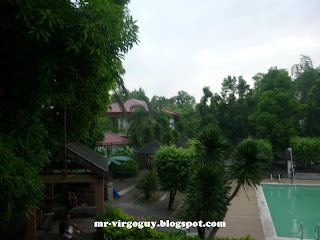 And besides, enjoy kayang mabasa sa ulan regardless of getting sick! Hehehe.